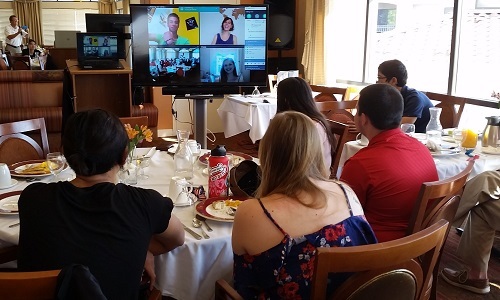 At the last Four Peaks Rotary Club breakfast meeting in Fountain Hills, we closed the program with an online "webinar" that included a few of our club's past Rotary Youth Exchange students. 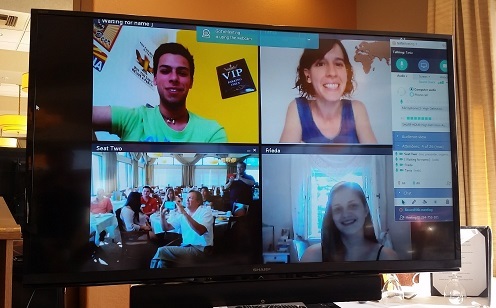 We had our current outbound student, Harley, live from Japan, Frieda from Germany, Tania from Spain and Federico from Italy. We also had several current and past club exchange students in the audience. This historic international club meeting went smoothly, without any technical glitches. I'm a big believer in using this new communication technology, introduced to me by past RYE Chair John Thornton. We predict that in the near future, Rotary clubs will be using the online conferencing services, such as GoToMeeting and Fuze, on a regular basis, especially within large districts, such as our new, ginormous, District 5495!